“It’s been pretty fast,” said Jacob Landry, the founder and president of the company. 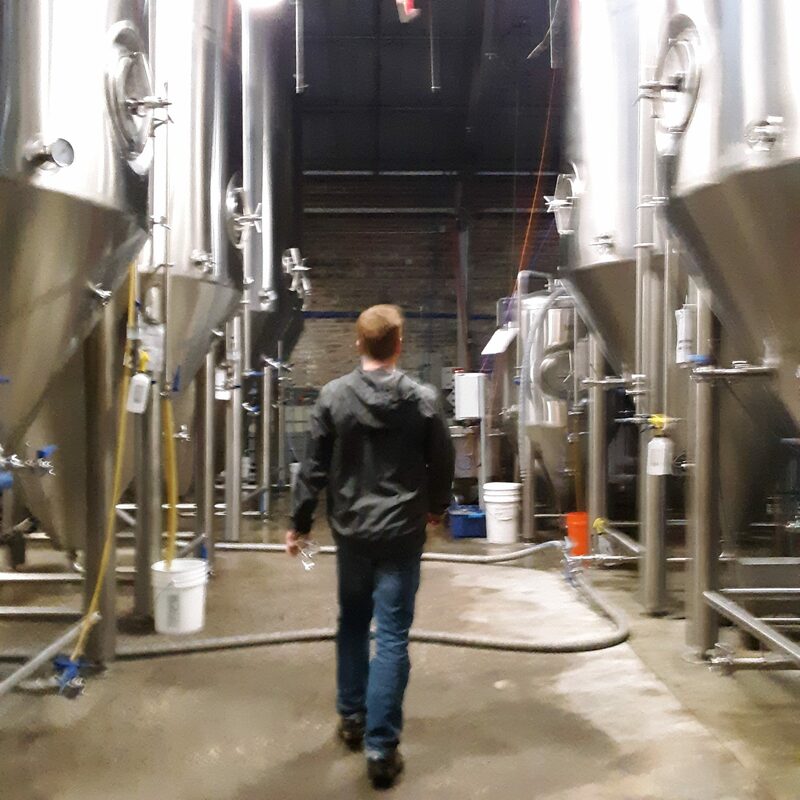 Since they opened in a giant former warehouse on Tchoupitoulas, another New Orleans Brewery, Wayward Owl, has already come and gone. “You can’t discount timing,” said Landry. When Urban South opened, there were very few breweries in town of comparable size, save for NOLA Brewing Co. Meanwhile, once Urban South was ready to have their beers hit the market, their distributor, Southern Eagle, did not carry NOLA or Abita beers in their stock to promote as locally brewed. Thus, a fruitful partnership was born. In Louisiana, the law prohibits breweries from selling their products directly to bars — they must go through distributors instead as a wholesaler. The cases and kegs of beer sold to the distributors are sold with a slim profit margin for the brewer, so most breweries operate taprooms in order to turn a profit. 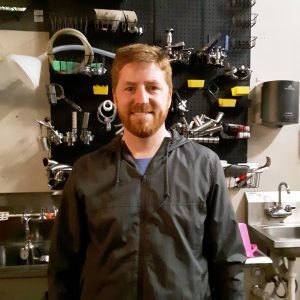 The founding members of Urban South included Kyle Huling, who had worked for Southern Eagle distributors for many years, and Wes Osier, the founding brewer who had just completed a master brewing program. Landry had been a homebrewer for years, though he claims his passion for beer outstripped the quality of his brews. The team’s first beers were Charming Wit, a light witbier, and Holy Roller IPA, a New England Style imperial pale ale. 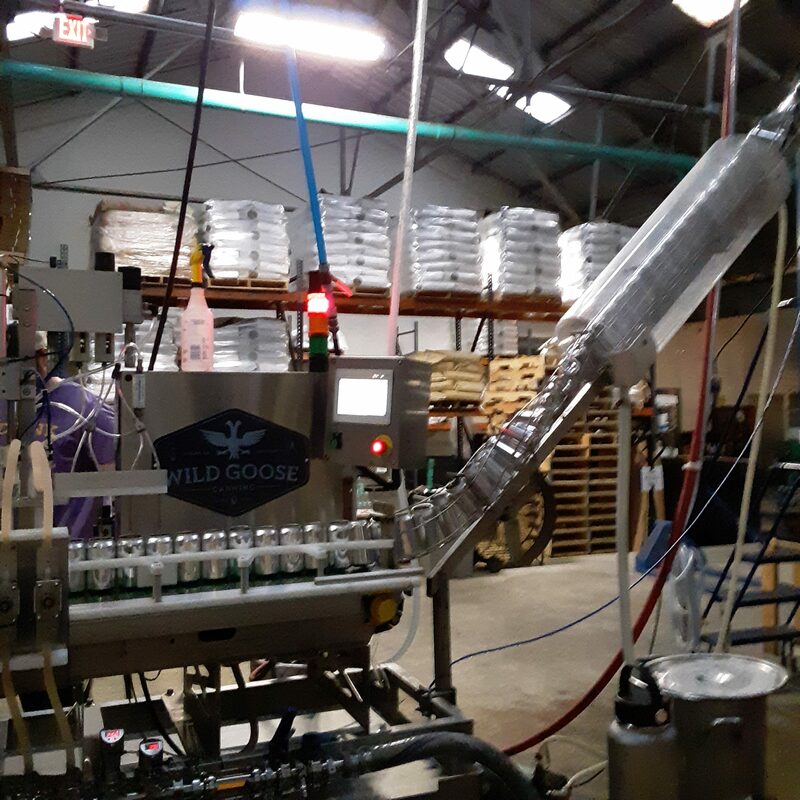 To the team’s surprise, Holy Roller was immediately the knockout success, comprising the most sales even after the team added more brews to their production. From the beginning, Urban South marketed their beers to restaurants, bars and grocery stores. Landry said that, because many of the larger grocery stores in town are regional chains, their beer had an advantage as a local Louisiana product. “And with the ‘on premise’ — the bars and restaurants — the movement nationally is local craft beer,” said Landry. The craft beer scene in the United States began to grow after 1979, when President Jimmy Carter lifted regulations that from the Prohibition era that banned homebrewing. After he signed HR 1337, legalizing homebrewing, a community of devoted hobbyists grew — like Landry. Washington and California legalized small “brewpubs” three years later, beginning the growth of mom-and-pop breweries around the country. Craft brewing has experienced sizable growth in the U.S. within the past few decades; the number of breweries increased 15 percent nationally from 2016 to 2017. Owners of these beweries tend to be mostly white and male. Currently, none of the breweries in New Orleans are black-owned — a new brewery opening in New Orleans East this year will be the first. Today, local brews have become popular enough that Urban South has decided to focus on marketing and selling within Louisiana rather than looking at outside markets. Though most of Urban South is consumed within New Orleans, you can find it throughout southern Louisiana. On the heels of their Holy Roller success, Urban South developed Paradise Park. The name comes from a trailer park near where Landry grew up in Louisiana. The original idea, Trailer Park, was considered too “risqué,” Landry said. Paradise Park now sells at the same volume as Holy Roller. “We wanted a budget lager, something that would sit on the shelf next to Michelob Ultra, and to encourage some of the [lager consumers] to try something local,” Landry said. The move was a deliberate departure from the trendy, bitter IPAs that are common at craft brewpubs. Perhaps unsurprisingly, a combination of timing, luck, talent and ingenuity has helped Urban South, with its golden insect emblem, become ubiquitous in our fair city. The brew team creates high quality and on-trend beers that are a hit with customers and has worked with local artists to create eye-popping designs for their cans of beer. They also entered the market and were able to fill a niche within New Orleans, and had a person on their team who was experienced with beer distribution. 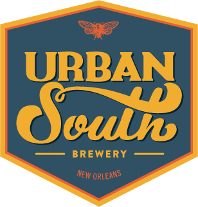 Urban South currently makes five brews year-round, a seasonal beer, and two special brews that are only available in their taproom and change once every couple of weeks. The brewery will release two new pastry stouts this Saturday, Feb. 16: a Graham Cracker Vanilla Stout and a Chocolate Raspberry Stout. The beers will be available on draft and in cans at the brewery from 11 a.m. to 10 p.m. I asked Landry if we could sample the new releases, and he led me to where giant steel canisters hold the still-brewing beer. He explained that though the brew has fermented, it has not been finished off with the carbonation process. He poured some out of a spout into two small glasses; it is thick, the brown of dark chocolate and almost opaque. “Syrupy,” Landry remarked. I took a sniff from the little glass that Landry has poured; the smell is malty and sweet. The thick brew is almost completely devoid of bubbles, heavy on the tongue, with a sweet and warm taste. It is sweet, for a beer, but not overpoweringly so — there are hints of the graham crackers and vanilla, but the tone of the sweetness is also akin to a brown bread. We move on to another giant steel tank of beer, and again Landry opened the spout, after washing our glasses. This beer is the chocolate raspberry brew, and the beer is dark brown, with cocoa colored foam at the top. Here the natural carbonation was more noticeable—and the smell of raspberries is jammy, heavy and delicious. The taste of chocolate melts with the raspberry, while underneath you can taste the stout — dark, but not too heavy. Though both were wonderfully sippable; each is about 8 percent alcohol by volume, strong for beer. When I ask Landry how Urban South got its name, he tells me that after living in with his wife in Seattle, they looked at a different places to live, and Landry realized what all of their preferences had in common. “They were all in the urban South,” he said. Urban South is is celebrating its third birthday in April with music and brand-new releases. The party will go from 10 a.m. to 10 p.m at 1645 Tchoupitoulas St. on Saturday, April 6.